The hostel was really spacious and clean. Pretty good social atmosphere in common area. 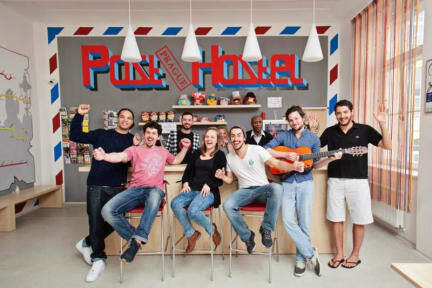 The hostel workers were pretty willing to bring funs to everyone, especially the short staying man Ben, he brought us to go out every night to different types of clubs, really energetic for my 4 days there. Recommend here. wifi超快員工都很熱情 地點佳 禮拜六活動還有free tour 非常好的一間hostel! It is a little bit far from some of the main sightseeings, especially those located on the west bank of the river across Prague. The good aspect is every bed has its own curtain. the room is big,the price is cheap,if the reception have more smile will be better.